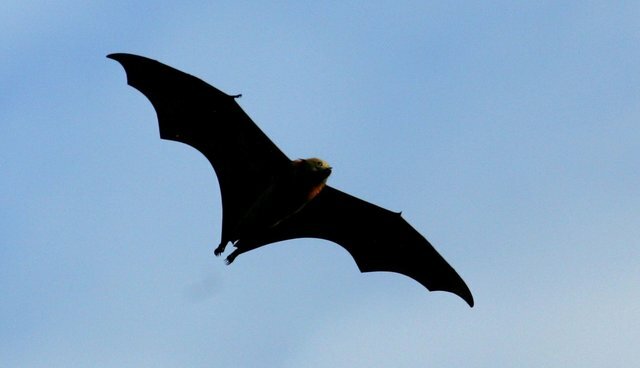 Working as incredibly efficient pseudo-security guards, bats are proving to be an unexpected boon for Thai farmers, according to a new study published this week. The wrinkle-lipped bat gobbles up a common insect -- the white-backed planthopper -- found on rice paddy farms, and provides free pest control for the farmers. In the study, which appears in the journal Biological Conservation, scientists calculated that the bats eat approximately 1,130 of the planthoppers every day, protecting the valuable rice crops. This means that a population of 8 million bats would protect a paddy farm from nearly 2,900 tons of loss each year – the equivalent of food for 26,000 people. With this in mind, the scientists are urging Thai farmers to protect their crops by protecting their bats. Thomas Cherico Wanger, lead author of the paper and a tropical ecologist at the University of Göttingen in Germany, told the Guardian that farmers can use roosting boxes to draw the bats in. "The model shows that 300 bats in each roosting box can protect almost 700kg of rice per year," says Wanger. The study also notes that, with that same population of 8 million bats, farmers will save about $1.2 million every year. So not only are bats good for producing food, they're also good for making money.